Thinking, Talking and Writing Activity Centre to hang on the Wall. 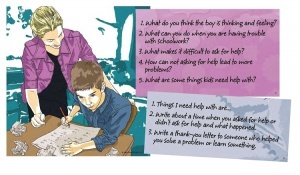 Develop speaking, listening and writing skills whilst addressing a variety of current character education issues with this engaging pocket chart. 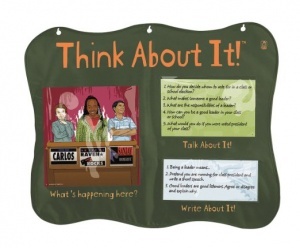 Each situation poster includes five corresponding discussion prompts and three writing prompts. Scenarios include fairness, compassion, respect, tolerance, trustworthiness and bullying.